Sometimes I get a bit tired of a lettuce salad with dinner but I still want to enjoy eating fresh veggies. 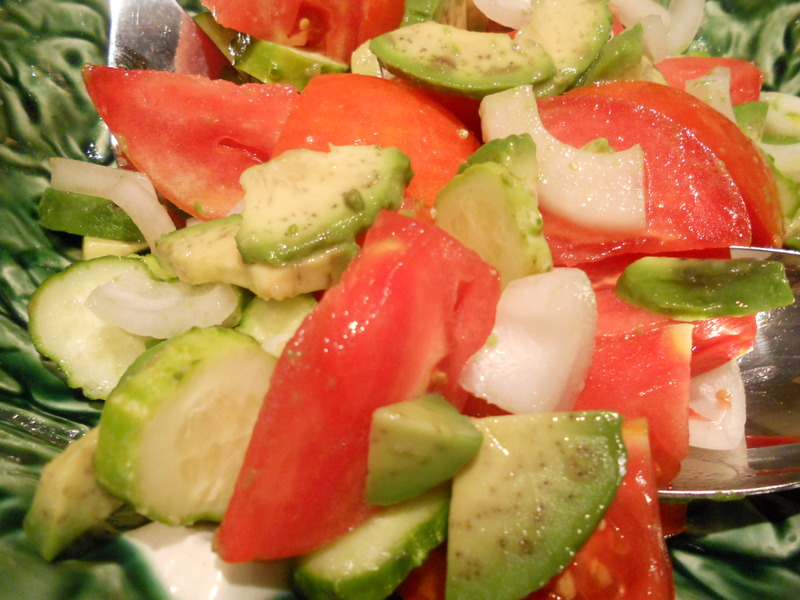 So last night I made a tomato salad sans lettuce. It’s perfect for this time of year when fresh local tomatoes are in abundance. I find that I enjoy the flavor of tomatoes so much more when they are at room temperature and not refrigerated. The dressing doesn’t have an overpowering flavor of garlic, the lemon keeps it in check, and lemon is so great with avocado. 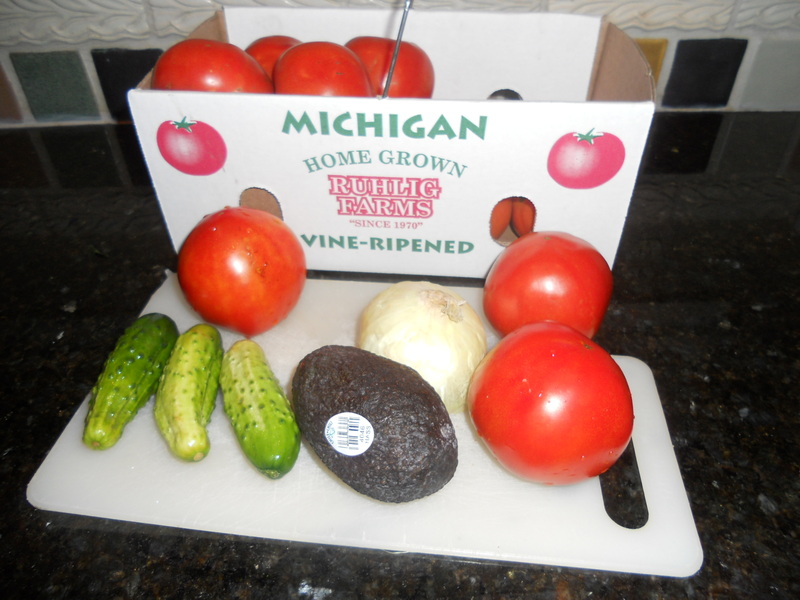 When I can buy the little “pickle” cucumbers I snap them up. I really like that the skin hasn’t been loaded with wax so the skin is tasty too, which means you don’t have to peel them. Their nice dark green skin has lots of nice nutrients that I’d rather not throw away. Assemble salad ingredients in salad bowl. Add salad dressing ingredients to a blender until blended. Pour dressing onto salad and toss.